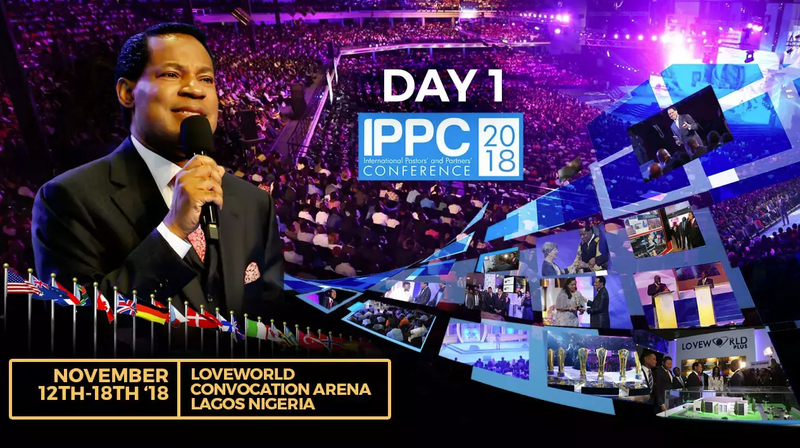 The International Pastors and Partners Conference (IPPC) 2018, of the Believers Loveworld Nation (Christ Embassy) kicks off on a very high note. Dubbed the United Nations of Christendom, the IPPC unarguably brings together more Christians from diverse cultural, ethnic, national and social background than any other Christian gathering on earth. Calling it the gathering of Eagles would be an understatement, so says one of the organisers who spoke to the IPPC Daily. This year’s event promises to be extraordinary, especially as it is the year of the supernatural. This was aptly captured by Pastor Siji Darah who highlighted that “no two IPPCs are the same, thus the need to be highly expectant because each comes with a specific message for a specific time”. The Conference which has other conferences and meetings on its sidelines starts today, Monday, 12th of November, 2018 running through the week and will be signed off on a glorious note on Sunday, 12th of November 2018. The Pastor’s Conference which starts today takes place at the imposing Loveworld Convocation Arena (LCA) on Billingsway, Oregun, Lagos State, Nigeria. This year’s edition attracts over 25,000 delegates from about 160 countries of the world. This congregation of pastors, partners, gospel music ministers from around the world would be hosted to life-changing conferences, trainings, awards and the awesome celebration of the ministry’s achievements, marking the end of the Believers Loveworld (BLW) year 2018 and the beginning of the BLW year 2019. The delegates will be treated to awesome celebration of the ministry’s achievements, and a peep into the activities the Ministry plans to embark on in the year 2019. Most delegates who spoke with IPPC Daily pointed out that their expectations know no bound as this year is special in many respects in the year of Ten-in-One. They will be served to a variety of eight delightful groups of conferences, organized to celebrate, inspire, move up and equip passionate gospel activists, who have traveled from all over the world. The eight conferences are: The International Pastors’ Conference, The International Partners’ Conference, The LoveWorld Exhibition, The LoveWorld Awards, The LoveWorld International Music and Arts Awards (LIMA), The International Media Connectors’ Conference and The International Teens Pastors’ and Leaders’ Conference. From every indication, this year has truly been the Year of the Supernatural to members of the Believers Loveworld nation as exemplified by their enthusiasm to celebrate achievements from the outgoing year, and be fully equipped for the year 2019.